The Farm house “I Perugini” dates back to 1800, it is located at the tip of Monte Tezio National Park. At just 10Km from Perugia, this area inspires the way of life from simpler times. Surrounded by pines, ancient acorn trees, and depending on the season feilds of corn, wheat, and sunflowers. “I Perugini” is the ideal location to spend a relaxing vacation without forgetting the fun. The house is composed of spacious apartments surounded by a large garden area. Some of the amenities available include a pool with a diving board and chasie lounges, football, ping pong,and barbeque. Creating a perfect environment for families with children of all ages. 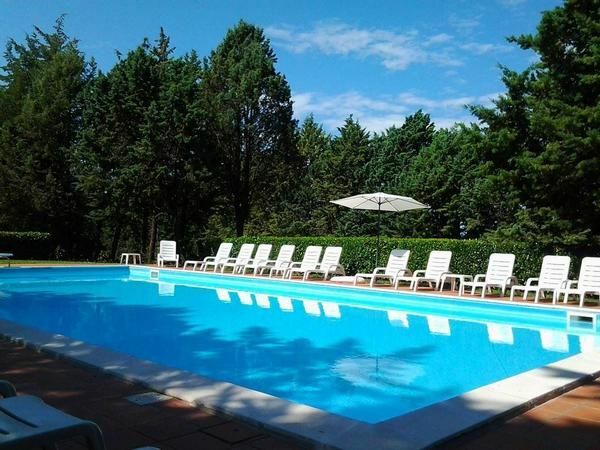 At only 18 Km from Lake Trasimeno and 5 Km Corciano, the house is situated in an ideal location relative to some of the important cultural, historic centers and panoramic areas of Umbria and Tuscany. Some example include Assisi, Todi, Gubbio, Orvieto, Spello, Cortona, Siena and many others.